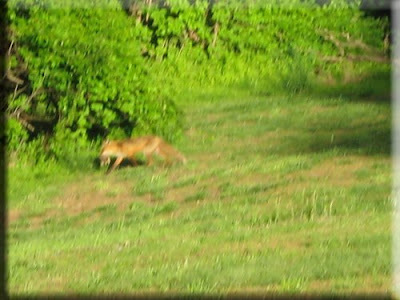 Every once in a while we see a little fox running around our house. 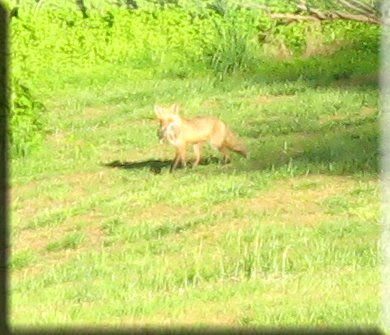 Sitting at dinner the other night, we spotted him out back. We soon noticed he had something in his mouth. 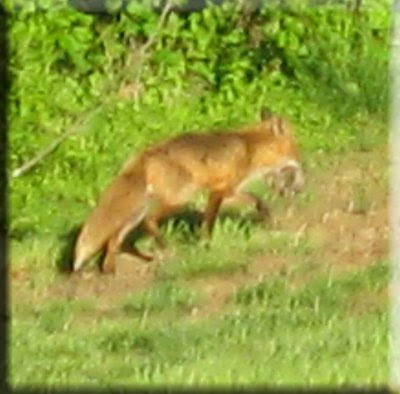 Not sure if it was a bird or mouse, or what, but he stayed around for about 30 minutes having dinner the same time of night as us. 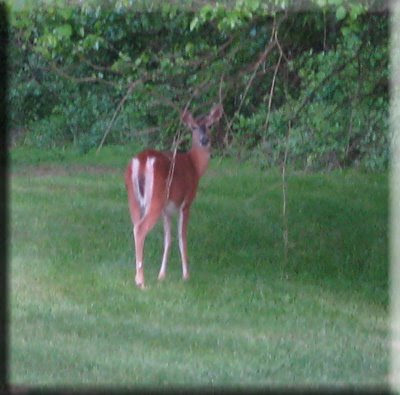 We think one of our deer is pregnant. This is not the best photo to show off her belly but her mid section has a hump where the rest of the deer their mid section is either flat or sinks in a bit. 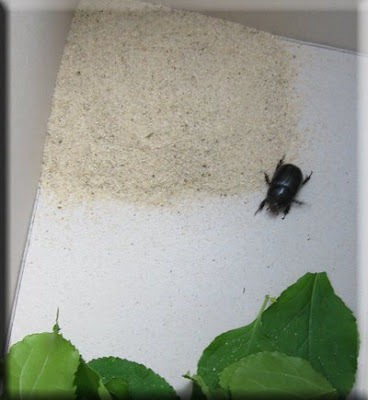 Autumn caught a giant beetle this week. It looks pretty small here but it's quite large. She allowed it to crawl all over her hand and arm. He stayed in the box for 2 days but eventually he fled back to wherever home might be. Or, maybe, just maybe our snake ate him for lunch one day. Here is Slither. He tends to take a sunbath on our deck every once in a while. 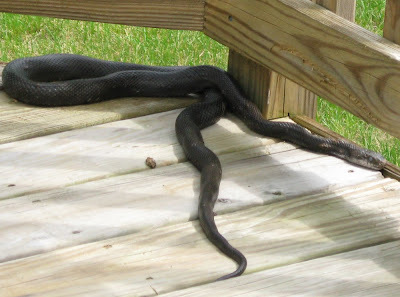 He is a Northern Black Racer and he is not poisonous.